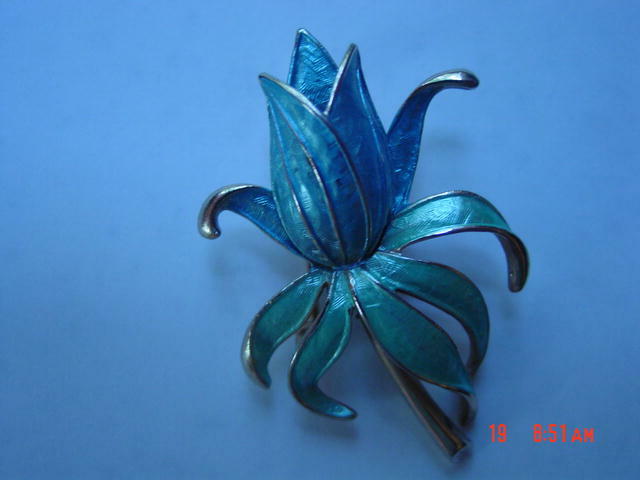 This is a goldtone flower pin with baby blue enamel. The enamel is all intact. It is marked Pastelli on the back and is in excellent condition. Items Similar To "Baby Blue Enamel Pastelli Flower Pin"